The House was Just Extra! Since I last posted (six months ago! ), Mr. Husband and I have moved from Tulsa to Houston! He was offered a promotion with his company, but that meant moving. Again. Therefore, we bought a house. Again. 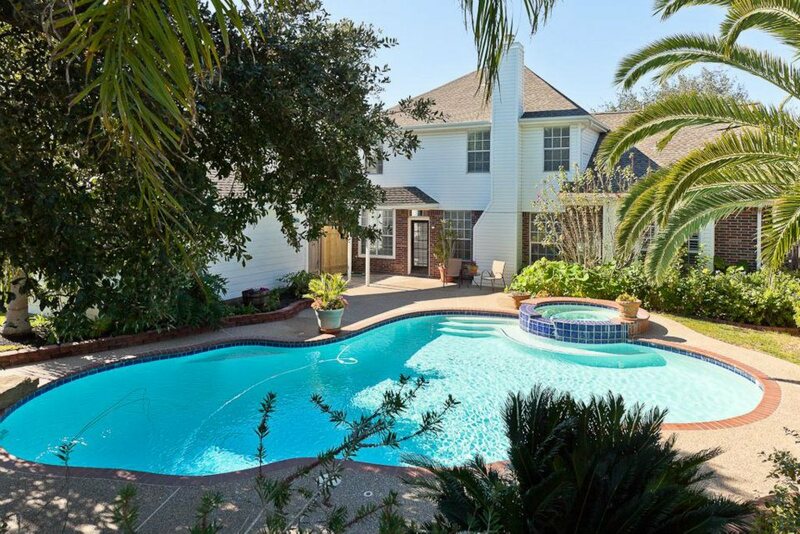 To be honest though, we bought an absolutely great backyard with a swimming pool. The house was just extra. 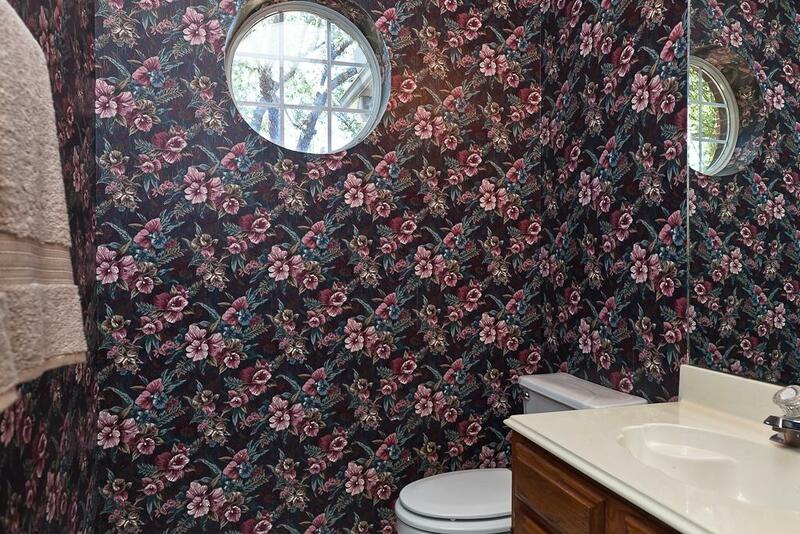 It’s a really nice house, but is in dire need of some updating as it still has wallpaper from the 90’s and seashell-shaped sinks! SEASHELL-SHAPED SINKS!! 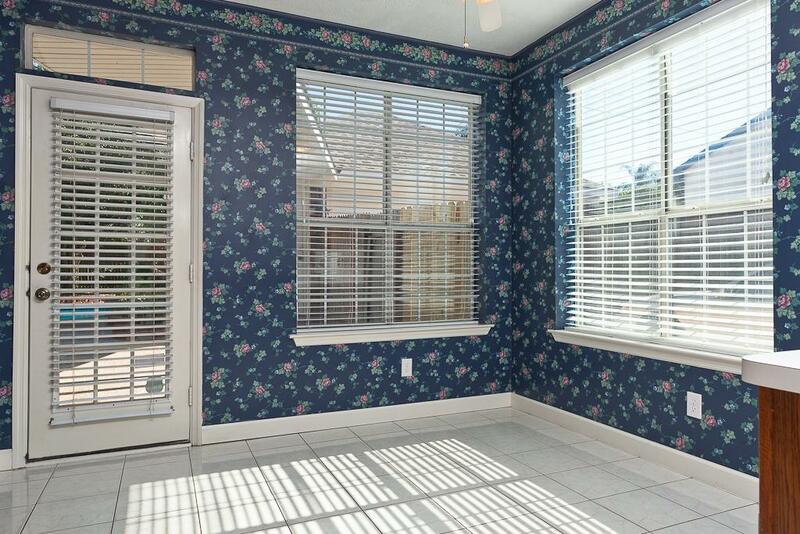 But the backyard…. As you can see, there will be lots of redo projects in the near future for Mr. and I. Just call us a couple of DIY dorks who have no clue what they’re doing. It’s all hit and miss, learn as we go with us!! In the meantime, all the second-hand furniture that I had bought and planned to redo (before life changed and we moved again) is stored in the garage, just waiting for a little TLC and a fresh coat of paint. Although, I do have plans to put one of the tables I bought at an auction in my living room. So hopefully, we will have the garage cleaned out very soon so I can start painting again. I did finish one project over the winter that I had started for my mom before we moved. 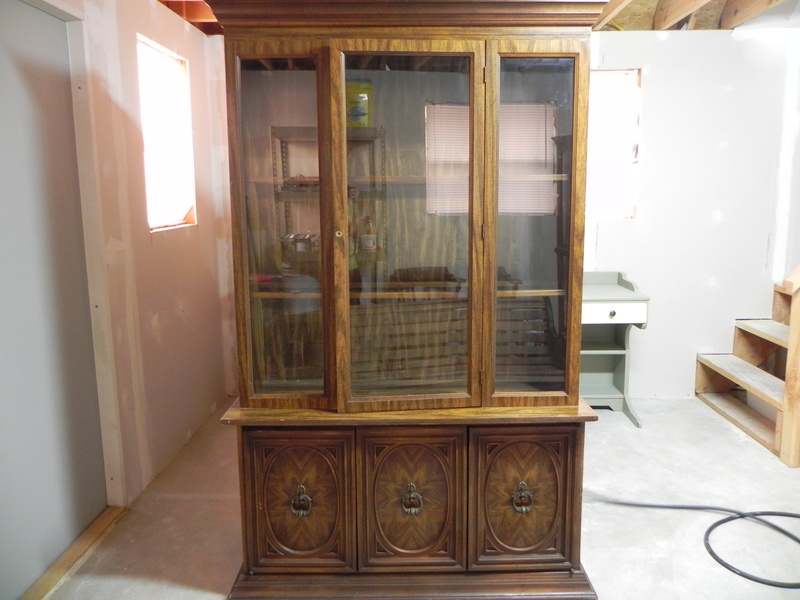 It was the bottom half of a china hutch. My daughter took the top half, painted it, and made a bookcase out of it for her office. I turned the bottom half into a bench/quilt storage. 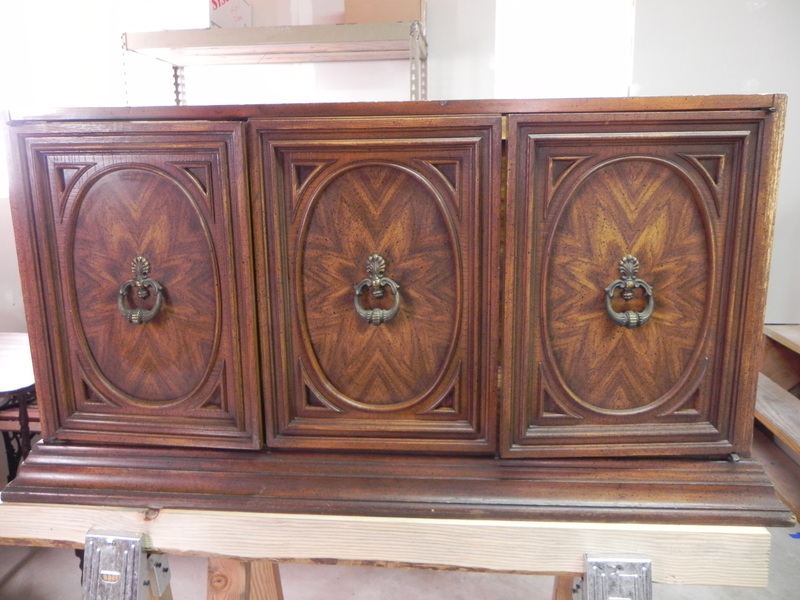 I painted the cabinet Valspar La Fonda Spice and spray painted the original hardware a bronzie-brown. Mr. cut me a piece of lumber to fit the top, I covered it with some padding and material, and we attached it with a piano hinge. 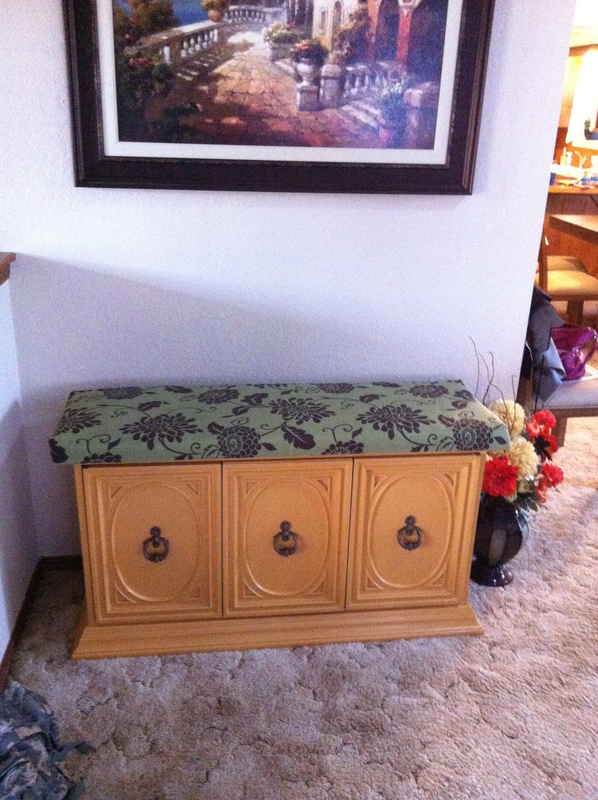 This entry was posted in House and tagged color, decorating, diy, furniture, painting. Bookmark the permalink. ← I shouldn’t be allowed in Mathis Brothers!